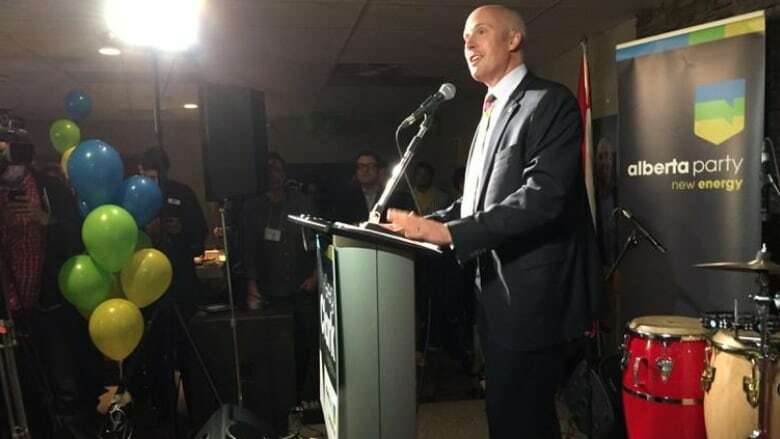 Alberta Party Leader Greg Clark has secured his party its first seat ever in the provincial legislature in Tuesday's historic election. Alberta Party Leader Greg Clark has secured the first seat his party has ever had in the provincial legislature. Clark beat out former education minister Gordon Dirks in the riding of Calgary-Elbow in Tuesday's historic election. "What this says is local issues matter and local politics matter," said Clark. "I hope the legislature operates a little more the way it was intended to, which is MLA's representing the views of their constituents." Only three PC cabinet ministers won their seats: Wayne Drysdale, Manmeet Bhullar and Ric McIver. "The people of Alberta have spoken loud and clear. They wanted change. They've chosen the NDP tonight. My job is to make sure we hold the government to account," said Clark. He became the leader of the centrist party in September 2013, but remained relatively unknown until last October's byelection in Calgary-Elbow. Clark came close to winning the seat, but lost to Dirks by roughly 800 votes. Clark said in February that he was trying to position his party as a fiscally-responsible, socially-moderate alternative to the PCs. <a href="https://twitter.com/CBCScott">@CBCScott</a> <a href="https://twitter.com/CBCAlerts">@CBCAlerts</a> this sooooo sweet! Dirks got what he deserved here. <a href="https://twitter.com/chimaincalgary">@chimaincalgary</a> We're super proud of all of you. From party creation to first elected seat. Bravo. <a href="https://twitter.com/chimaincalgary">@chimaincalgary</a> <a href="https://twitter.com/robertwalker4">@robertwalker4</a> Now let's see <a href="https://twitter.com/GregClark4AB">@GregClark4AB</a> get appointed Education Minister and then see some real change!